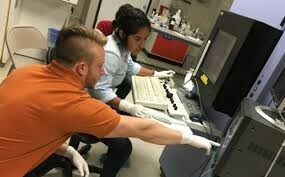 Manor New Tech High School will have five representatives in this year's Nanomanufacturing Systems for mobile Computing and Energy Technologies (NASCENT) internship. MNTHS students Cara Wilton, Guillermo Rodriguez, and Guillermo Hernandez along with returning fellows Caroline Barbos and Emaurai Glass will be taking part in the engineering summer research program, designed for 10th-12th grade students. The internship is in collaboration with the University of Texas at Austin. Each summer, high school students are selected to join graduate and undergraduate students for seven weeks of laboratory research as Fellows. These research teams study problems in nanomanufacturing and make contributions to ongoing projects. Each high school student will give a final presentation of their results at the end of the summer. Program objectives, schedule, and activities can be found here. Congratulations from all of us at Manor ISD!